Marketing experts and small business owners agree that blogging is one of the best things you can do for your business. It increases traffic to your website, it helps your SEO, and even helps boost your social media following. With that said, blogging regularly and consistently has benefits that you might not immediately realize. To help show you the importance of blogging, we wanted to share these four unknown benefits blogging has for your business. One unknown benefit to blogging is the boost that it gives to your writing skills. Writing is a skill that can be improved with time and practice. Like training for a marathon, it might be uncomfortable to start. But the more you write, the easier it gets. The more you blog, the more you write. The more you write, the better writer you become. As you become better, focusing on creating content that attracts your target customer, it will get easier. After a few months of consistent blogging, your voice will become clearer, the words come to you a bit faster, and blogging becomes easier. Twenty years ago, blogs didn’t even exist. If you wanted a website, it took extensive knowledge in html and CSS to code your pages. Free platforms, like Geocities, provided a place for small business owners to try their hand at creating websites. It’s amazing how different the internet is now! 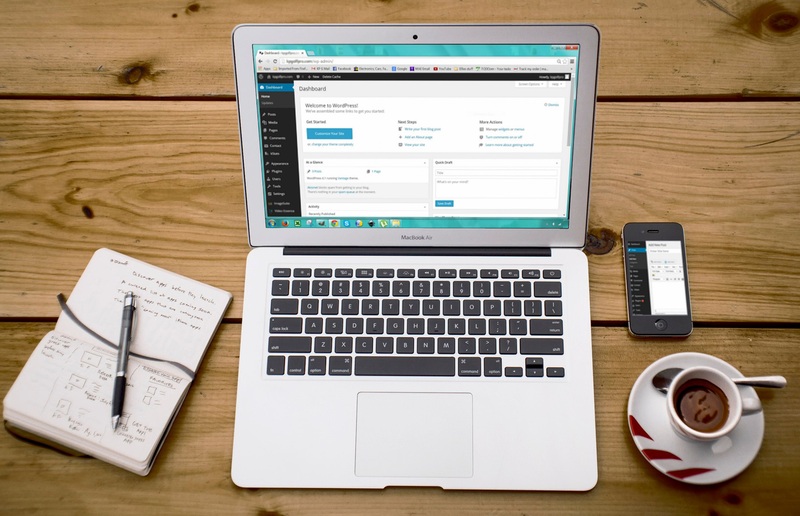 Today’s user friendly blogging platforms like WordPress and Squarespace provide easy ways to launch a blog without extensive coding and programming knowledge. But even though you don’t need to learn HTML or CSS, these sites provide easy ways to see the source code that builds your site. When you make changes or correct minor problems with your site layout, you gain experience with the coding. Plugins like Yoast can also guide you towards creating strong, SEO rich content. This plugin will point out areas to improve each blog post to optimize it for maximum search-engine findability. As you get familiar with crafting your sentences and naturally incorporating valuable keywords, you might find yourself not relying on the plugin to point out these areas of improvement. Blogging can teach you a few other skills, like graphic design, content marketing, and social media marketing. And, the more you do it, the more skilled you become! Blogging regularly and consistently will bring more traffic to your site, but it’s important to engage with that traffic and to obtain their contact information. Getting someone to your site is just the first step. In order to market to those interested prospects and to begin building a relationship, you need their contact information! If each blog post is driving a profitable customer action, every post you share has the ability to generate more leads to build your business. Another thing blogging is doing that you might not realize is building trust with your readers. Trust is the most valuable commodity on the internet — especially when it comes to small businesses. The only way you can build trust is by showing your commitment to your readers, again and again. By blogging valuable, honest articles and engaging with your target customers, your readers will trust you. Producing valuable content like this also builds your authority as an expert. People are far more likely to do business with people they trust. Trust builds happy, loyal customers. It takes time and consistency, but if you stick with it, blogging can build trust and increase your sales. Your images tell amazing stories; all they need are the words to go along with them. Focus on creating new blogs on a regular and consistent basis. Not only will you increase traffic to your site and bring interest to your brand, you will build trust, learn some valuable skills, and gain more contact information. Good content brings clients closer to you, and helps them to relate to you as a person, not just as a photographer. Start building your inventory of posts today! If you need help getting started or inspired, let us know. The Fotoskribe team would be happy to help you write and schedule your content to get the most out of your amazing images. We’re here to help you take your blogging to a new level!